Updated: Aug. 16, 5:45 p.m. | Posted: Aug. 15, 6:30 p.m.
Mayo Clinic on Wednesday slammed a CNN report alleging the health system "medically kidnapped" a teen patient who suffered a potentially fatal ruptured brain aneurysm in 2016. In a statement, Mayo called CNN's story "inaccurate, incomplete and irresponsible." The allegations and uncharacteristic counter-response from the medical behemoth stem from a CNN story that aired and was published on its website Monday in a series called "Escape from the Mayo Clinic." 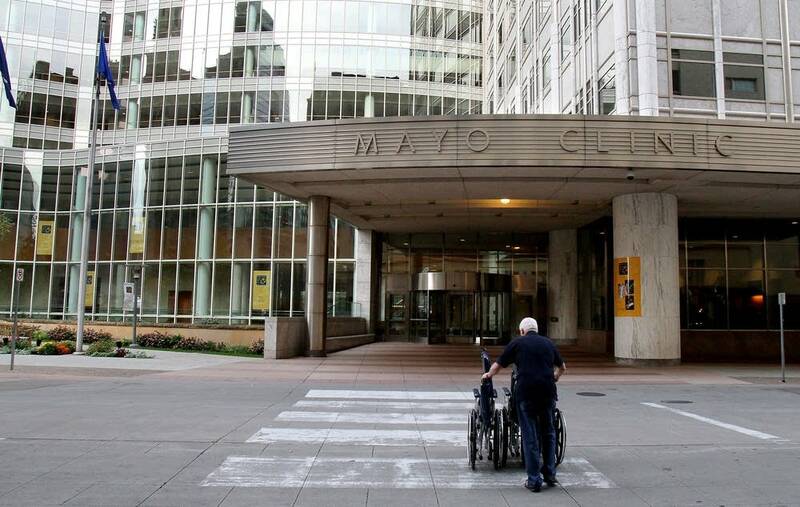 The story described repeated disputes between the patient's family, especially her mother, and Mayo clinic staff. The mother claimed the family's concerns about care went unaddressed. At a certain point, Mayo barred the mother from the medical center's property. Mayo said it banned the mother after "escalating disruptive and aggressive behavior that interfered with the care of her daughter and resulted in multiple staff members reporting fear for their safety." As part of its reporting, CNN said it used public records and multiple sources to validate its story. And by late Wednesday, the network countered, saying Mayo had omitted information. Mayo says CNN disregarded and did not investigate key facts Mayo provided, including allegations that the mother abused the patient, which Mayo had reported to county officials. In an interview Wednesday, Dr. Michel Harper, executive dean for practice at Mayo, said the hospital had grave concerns about the family's ability to care for the woman, who was an 18-year-old high school senior at the time. • Was unwilling to learn how to care for her daughter once she was released from Mayo. • Resisted the doctor's advice that the teen be taken off of opioids. • Was physically aggressive with Mayo staff. Mayo said all those factors played into its decision to block the mother from Mayo's campus and seek outside guardianship for the patient on her behalf after the major surgery because they deemed her a vulnerable adult who could not make her own medical decisions. Occasionally, Mayo seeks guardianship for a patient, it said. In this case, officials first were working with the patient's father, Harper said. However, after he backed out, Mayo sought an emergency guardianship in county court. To date this year, Olmsted County said it has seen 25 such requests of which 13 were granted. In some cases, an ethics board at Mayo is consulted before an emergency guardianship is requested. But in this case, it did not because "the facts of the case were clear that several lines were crossed that put both the patient and employees at risk," Harper said. In its statement, Harper acknowledged it declined an on-camera interview with CNN "because doing so would bring negative publicity to a vulnerable adult in a suspected abusive family environment." Last month, a Martin County judge issued an order removing the Mayo patient's five younger half-siblings from her mother's care, according to the court filing citing a series of reports of neglect, physical and emotional abuse. The court records also said the mother tested positive for methamphetamines and amphetamines in late July when a county official visited her home in Sherburn to investigate child abuse reports. At that time the children were removed from her care and placed in the care of their father, who is also the patient's stepfather. The mother could not be reached for comment Wednesday. Their father told MPR News that he stands by the CNN story and he never saw the mother harm her oldest daughter, who was the Mayo patient. He and the mother are now separated. He said the allegations outlined in the court order only started after their treatment by Mayo. As part of its series, CNN outlined how it reported the family's involvement with Mayo. They said its reporters used multiple public reports and interviewed numerous people during its reporting. Late Wednesday night, a CNN spokesperson responded to an MPR News request for a response, saying Mayo's statement omitted information and included inaccuracies. CNN declined to offer specifics. However, the network outlined how it reported the story and published that as part of its published series. "This story is based on law enforcement documents from three police agencies in Minnesota, medical records from [the patient's] hospitalization at the Mayo Clinic in Rochester and her visit to an emergency room at Sanford USD Medical Center in South Dakota." Further, CNN said it interviewed "an attorney who advocated for [the patient] during her stay at Mayo, correspondence between Mayo and the family, and interviews with the patient, members of her family, a family friend, law enforcement officials and a former member of a Mayo Clinic board." It remained unclear where the former Mayo patient at the center of the CNN story is now living. Correction (Aug. 16, 2018): The city of Sherburn and the name of Dr. Michel Harper were misspelled in an earlier version of this story.